You guys remember the Lytro camera? It made headlines across the Internet a few years back because it introduced a novel way to take pictures, where you could just shoot whatever you wanted now, and focus on you actual subject later. It’s an entirely different mechanism than traditional cameras, and today it’s on special. 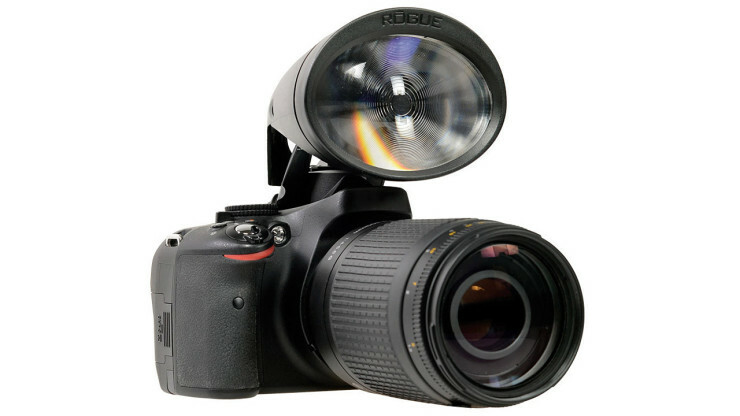 Most cameras capture the position of light rays, producing your average static 2D image. 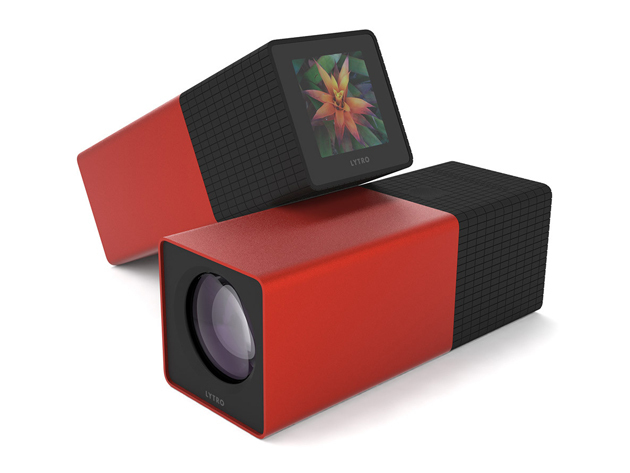 The Lytro dares to be different. Its cutting-edge technology records the direction of these rays, generating images you can later refocus, change perspective within, or view in 3D. You can essentially revisit the scene of the photo—meaning you’ll never miss snapping the perfect shot again. Normally $149, after today’s deal you’re looking at $74.99. 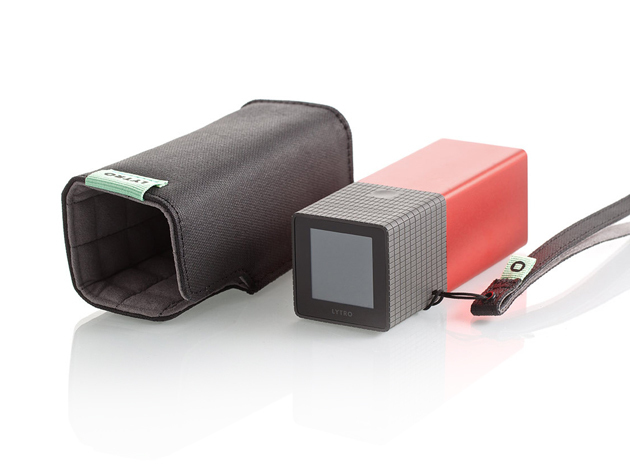 We’re big fans of everything Lytro makes, because they bring true innovation to the field of digital photography. 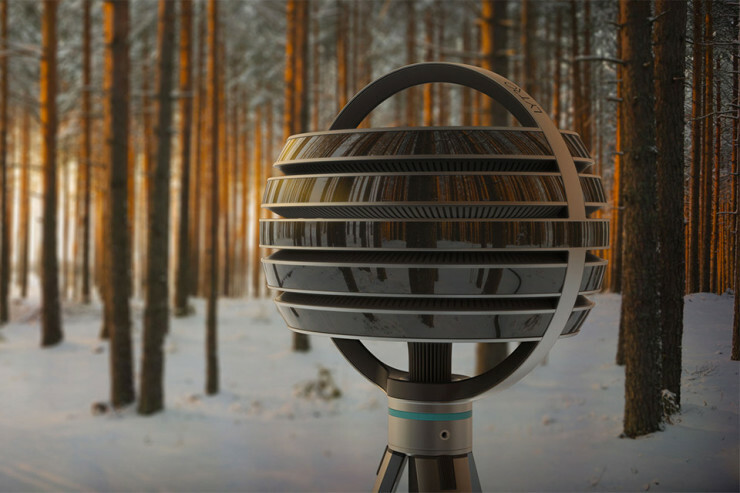 Where most progress comes in the form of more megapixels, slimmer designs and other marginal improvements, Lytro brings “Ray Field Technology” that lets them capture more information per image than normal cameras. Now with the Immerge, they’re hoping to do the same to the field of VR. It’s a 360 degree camera that captures the world around it in a way that’s never been done, giving the VR viewer six degrees of freedom. So, whereas a VR user can now look both ways horizontally and vertically, with Immerge you’ll be adding up/down and left/right freedom, for a true immersive experience. It’s a complex system aimed a professional storytellers who want to create a complex virtual environment, and it’s still under development so there’s no price or availability information. If you’re in the creative game, you can apply to test a prototype. By David Ponce on 08/25/15 • Leave a comment! The First Generation Lytro Camera was ahead of its time. Back in 2011 we wrote about it excitedly, since it promised you to be able to “Shoot now, focus later”, allowing you to click on an image to choose the focal point, even after the image was shot. It was a novel, interesting approach to photography, but unfortunately the camera was expensive. Well, it no longer is! It’s a brilliant product, but not necessarily one that you’d want to pay $200 to try out. At $79.99 as it is in today’s deal, however, it’s a different story. Cashing in on people’s unrelenting desire to take pictures of themselves, the Podo wireless camera features a special microsuction pad that sticks to pretty much any surface (cement, metal, drywall, etc. ), and simply needs to be washed now and then to preserve its sticking powers. Podo then connects to your phone via Bluetooth and lets you frame your shot, enable or disable flash, set a timer and eventually take your picture. The 8MP sensor is able to also shoot 720p video at 30fps, and an accelerometer ensures your photos are always oriented the right way. The front pivots out so you can adjust the angle and have it pointed where you want it. It’s really small at 2X2X1 inches and can easily be carried in a pocket. 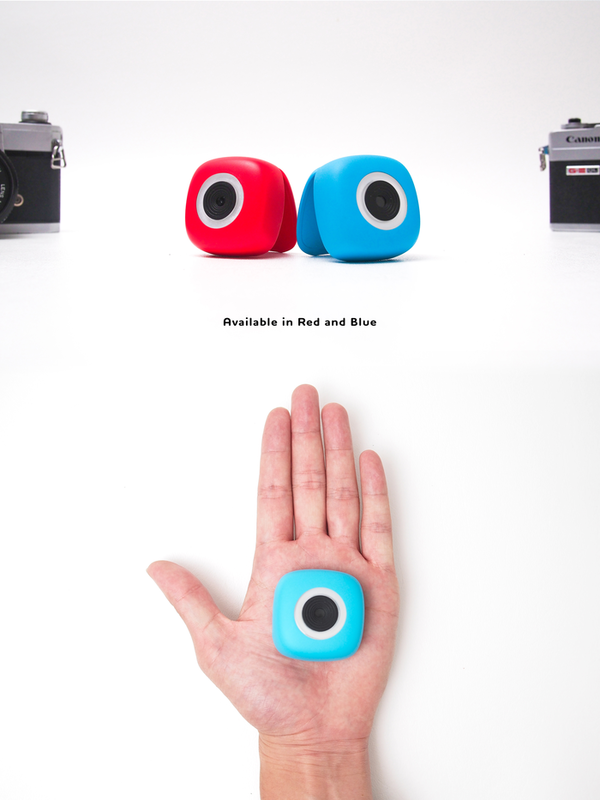 This is a really cool product because you won’t have to use a darn selfie stick, nor will you have to be asking strangers to take pictures of your group. Costing a small $89 pledge, the camera could be yours by August. 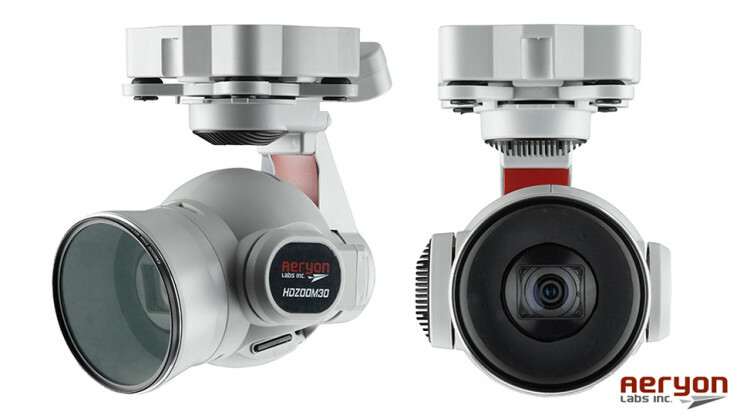 Aeryon HDZoom30 Camera Can Be Mounted On A Drone, Spots Faces From 1,000 ft. Away! Privacy will soon become a concept taught in history class, considering we’re constantly developing better technology at least partly designed to take it away from us. The Aeryon HDZoom30 Camera is a 620g camera with 30X optical zoom and up to 60X digital zoom on a 20MP sensor, which means it can focus on objects as far at 1,000 ft. away with enough sharpness to recognize a face. It’s mounted on a 3-axis stabilized gimbal which makes the video pretty smooth even from that far away, and since it weighs barely more than 1 lb., it can easily be mounted on a drone. 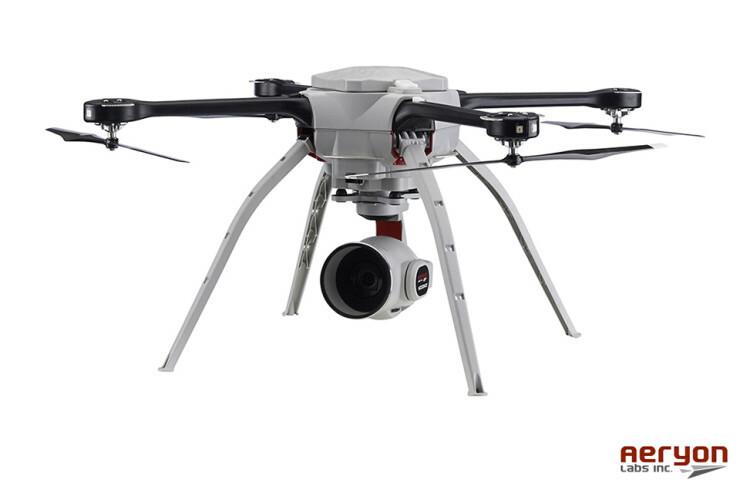 The image below, for instance, pictures the HDZoom30 on Aeryon’s Skyranger drone. And if you want to get an idea of just how mind bending the zooming abilities are, we recommend watching the video. We’re not sure how much it costs but it’s probably not cheap. Then again, it’s probably incredibly less expensive than the traditional stabilized telephoto lenses mounted on helicopters that law enforcement have been using for years. And that means that soon enough you’ll probably be able to buy one at your local Best Buy. Slow motion footage, at least the very slow kind, can be expensive to capture. Cameras that shoot at such high frame rates aren’t sold in your local Walmart, and it’s rare for anyone but the most motivated of individuals to purchase one. 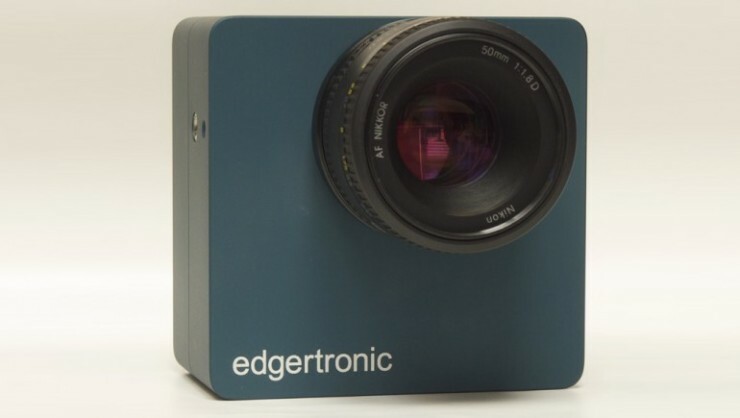 But if Edgertronic has its way, you could get your hands on one such device for roughly $5,000. Yeah, that’s still a lot of cash, but it’s about 10% of what a Phantom Flex would cost. What does the money get you? Up to 17,791 frames per second is what. Granted, that’s at a 192 X 96 resolution, but you can still get 494 fps at 1280 X 1024, and quite a few other combinations in between. Better yet, resolutions are adjustable axis-independently in multiples of 16, meaning you can get 4,130 possible combinations, for the exact kind of shot you want. There’s also a rolling 8 second buffer so you can capture shots even after they occur, which is pretty nifty when you’re trying to film things that happen quickly. The camera ships with a 50mm F1.8D Nikon lens, but will accept any Nikon F-mount optics. If you’ve been itching to get into super slow-mo but just couldn’t think of a way to do it, now may be your chance. By David Ponce on 09/10/13 • Leave a comment! Your phone is likely able to take a panoramic shot. Sweet, right? Well, really, it’s just sort of ok. For one, you have to learn how to take that shot, slowly panning and keeping your hand stable. Secondly, if anything is moving across your field of view as you take it, you end up with headless bodies and other hilarious artifacts. Not to mention, you’ll be lucky to get 160-180 degrees in one picture. 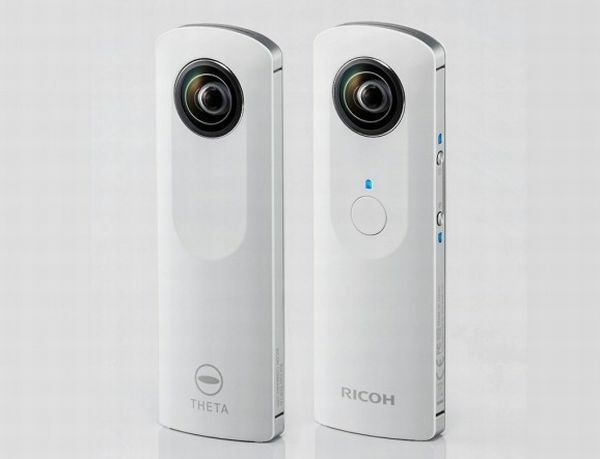 Ricoh does away with all that noise with the Theta. It features two back-to-back lenses which capture 360 degrees at the single press of a button. Software on your smartphone or PC/Mac then lets you view and explore the pictures you take. It’s a pretty interesting innovation, even if it’s not one for every occasion. If you expect to be out, exploring scenic settings, you may want to have Theta around. If you’re just going to the club, carrying a second digital device might not be worth it. Granted this creates a smaller niche market, and at $399, might be a tough sell for many. Still, it’s nice to know this exists and if it’s your cup of tea, it’ll be available later this month. How Does 41 Megapixels On Your Wrist Grab Ya? By Andra Vasile on 08/14/13 • Leave a comment! Nokia made a lot of waves a while ago when they announced a 41 megapixel camera phone. The shots it takes are indeed stunning, even if everyone agrees that “it’s not all about how many pixels you have.” But aside from being crammed to the brim with sensor pixels, the Lumia 1020 has another problem: it has an entire phone attached to the camera! 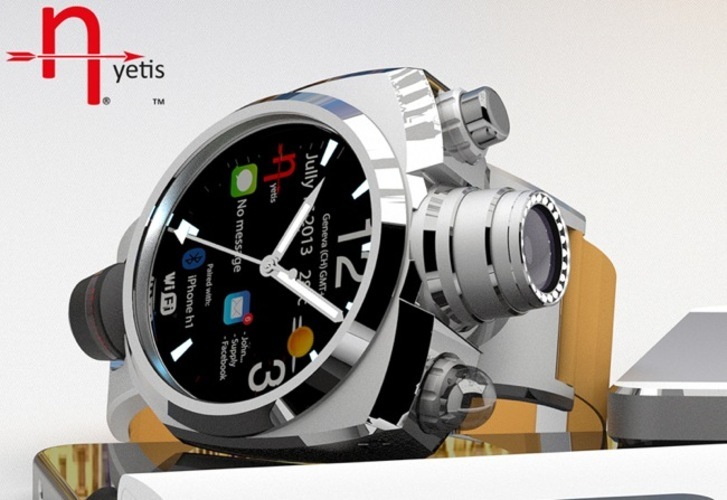 Swiss watchmaker Hyetis wants to give you the pixels, while freeing you from the phone. The Crossbow smartwatch features a 41 megapixel sensor (with Carl Zeiss optics, to boot) as well as WiFi, NFC and Bluetooth to connect to a smartphone. “Oh, but you still need a phone!” you’ll say, and we’ll reply “yes, but you can pick which phone that is!” Crossbow works with iOS, Android and Windows 8 devices, which means that you won’t have to sport a Finnish handset in order to capture images with 41 million pixels. Better yet, you don’t actually need a smartphone to operate it since its face is touch sensitive and we think you should be able to take shots without having to take your phone out. We’re not sure on that last part however, since details on the watch are scarce. The only thing we know is that aside from all those pixels, “an altimeter, microphone, thermometer and biometric sensors in the band – which can measure your physical condition – are all included.” The asking price? A hefty $1,200, with the first batch being limited to 500. Yeah… we’ll stick with the $50 Holga we got at Urban Outfitters, and that’s not because we’re hipsters (we really, really aren’t).